EVER WANTED TO FEED A SHARK?? Feed One Right Here in Delray Beach! Thursday, February 4th, 2016 at 2:45pm. 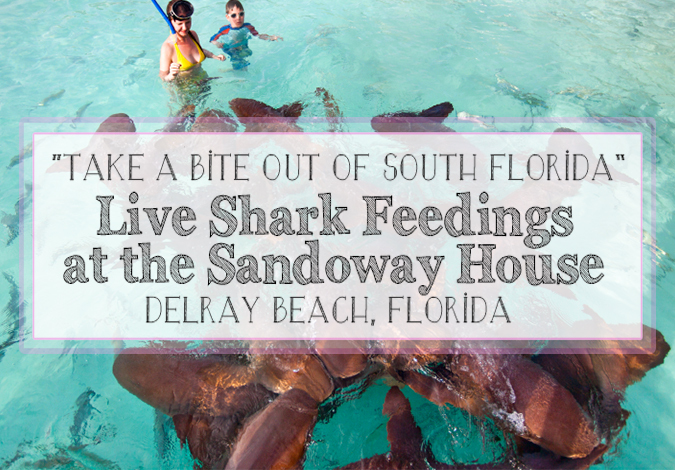 Tuesday through Saturday at 10:30am and on Sundays at 1:30pm at the Sandoway House, in Delray Beach, the marine wildlife specialists feed the sharks that live in the 15,000-gallon tank. Visitors will be right by the action! You can watch the live feeding and as well as learn loads of interesting facts about Florida’s marine life and the sharks. Admission is $4 per person (children 3 years and under are free). Every morning at the Sandoway House, the marine wildlife specialists feed the sharks that live in the 15,000-gallon tank.